Vicky Coffee, who has been with the Hogg Foundation for Mental Health since 2007, has committed more than 30 years to increasing awareness, offering services, and enhancing systems to support individuals, youth and families living with mental health conditions in Texas. In her role as Program Manager, Vicky oversees a team that develops and implements grant initiatives to advance mental health, wellness and recovery in Texas. Most recently, her work has supported the mental health of youth and families in Houston, as well as faith-based communities throughout Texas. 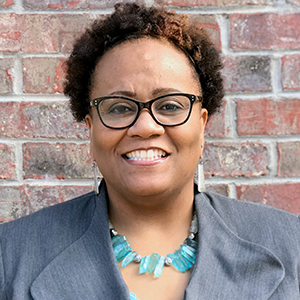 Vicky has served as an executive board member and secretary for the National Leadership Council on African American Behavioral Health, and is a founding member and coordinator of the Austin Area African American Behavioral Health Network. A certified licensed professional counselor supervisor and Mental Health First Aid instructor, she holds a Bachelor of Science in child and family development and a Master of Education from Texas State University.